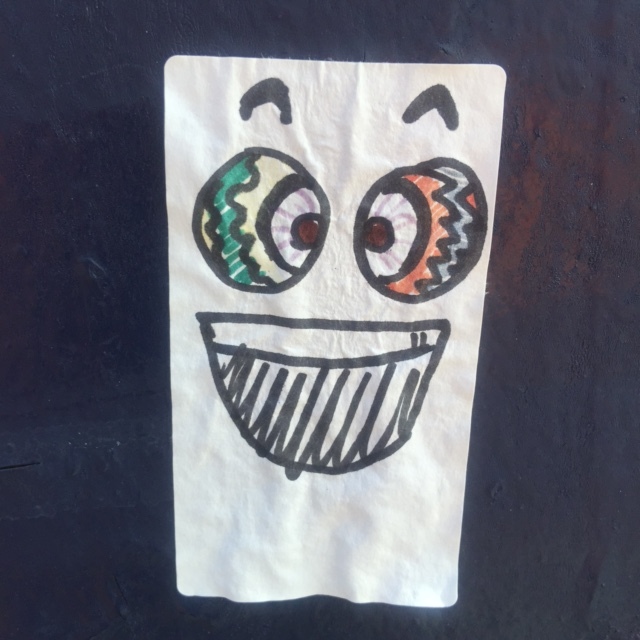 I took this photo from a sticker plastered on the street corner in Washington, D.C.
What I like about it, aside from it’s cute, is that I see a message here about good communications and conflict management skills. Notice the eyes are different (one is green/yellow and the other is orange/blue)…like it’s two people. But there is one mouth open, speaking between them. While each of us is different, and we may never fully agree (and cabn “agree to disagree”), we can also negotiate and come to terms on a win-win course of action.